Have you performed the paper test on your smile? If your teeth look dull and dingy next to a piece of white paper, you may be considering teeth whitening to brighten your smile. A white smile is associated with health, youth and beauty, making it a desirable attribute. Although there are many products available over-the-counter for whitening teeth, many are not as effective or safe as you might hope. With cosmetic dentistry treatments at Sugar Creek Family Dental, we offer professional teeth whitening that can give you a stunningly white smile quickly and safely. It is not necessarily your fault that your teeth are not as white as you would like them to be. Even with excellent oral hygiene teeth can dull with age and become stained from the foods and beverages you consume. Coffee, tea, nicotine and wine are common contributors to a dull smile, as are dark pigmented foods like berries and some spices. Get your teeth back to a healthy white gleam with the help of our cosmetic dentistry team at Sugar Creek Family Dental. While you are in the office, we will take an upper and lower mold of your teeth and provide custom trays so you can whiten your teeth at home around your schedule. 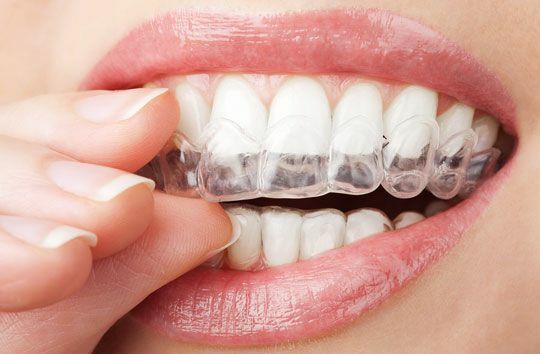 The custom trays along with your home whitening gel will help you get the professional results that everyone wants. The in-home whitening solution is also provided to patients who have their teeth whitened in our office. The in-home tray allows patients to touch up their whitening after 3 or 4 months of coffee drinking without having to come back into the office. So why choose professional teeth whitening over home treatments you can buy at the store? 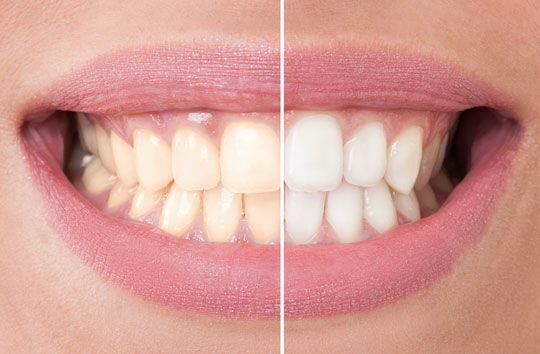 For one, you can get better results in a shorter period of time with professional bleaching treatments. It can take weeks to achieve similar results from over-the-counter products compared to the options that can take as little as one hour in a dental office. In addition, professional teeth whitening is done under the supervision of dental professionals to ensure the safety of your teeth, protecting your oral health. Whitening your teeth is one of the quickest and most cost effective ways to improve the beauty of your smile. Find out more about our professional teeth whitening and other cosmetic dentistry options. Contact Sugar Creek Family Dental today.